Upper Clutha Transport is a long established transport business with depots in Wanaka on Ballantyne Road and in Luggate on the Main Road. The Company has built up a large fleet of modern trucks and earth moving equipment perfect to take on any earth moving or transport job. As the team says, we can do it all. On land or by boat, we’ll get it there. We strive to offer a range of transport solutions to suit a range of business requirements. 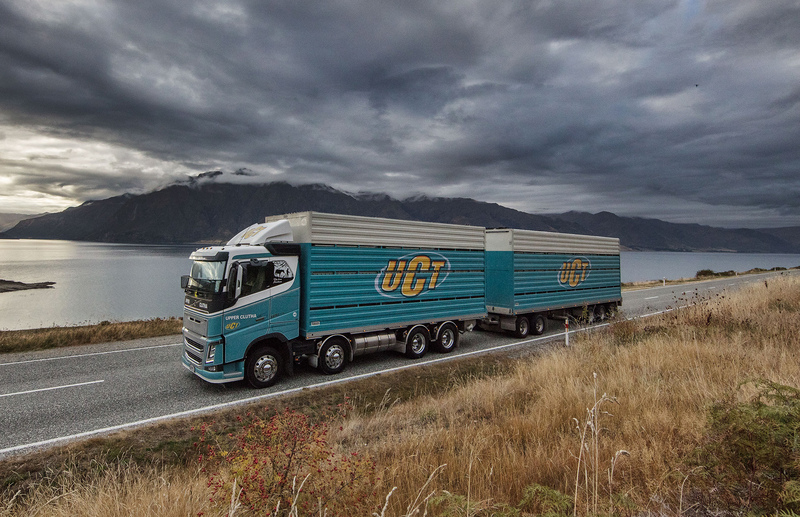 UCT Luggate have been providing the farmers in the Upper Clutha region with an efficient and reliable spreading service for many years. Our modern 4×4 spreaders, including mini spreader for smaller jobs and crops, are computerised with precision GPS, and our self unloading trailers enable our sowers to be self sufficient. We offer a range of Transport and Contracting solutions. Ranging from Excavation, Live Stock Transportation, Fertiliser & Lime Spreading and more. Upper Clutha Transport owns and operates the Allied Fuel Stop at 78 Ballantyne Road. The most affordable place in Upper Clutha to purchase fuel. Fuel Available: 95, Unleaded 91, Diesel, Ad Blue. Cards Accepted: VISA, MasterCard, EFTPOS, Mobil, Allied, Rural Co, Farm Source. Copyright © 2019 Upper Clutha Transport Ltd.